Do you have a small business or idea that you would like to get on the web? This article will explain the basic steps to get your business or idea on the web. There are many free ways to get an online presence but the best way is by having your own, unique, web site. There are a few thinks you will need to get this web site online but they are not very complicated or expensive. The first thing you need is a domain name. A domain name is the address that you put in the address bar of your web browser. It usually looks something like www.somename.com. This is a unique name you will use to identify your business from the rest of the world. A domain name can be purchased from any number of registrars for under $10 a year. The next thing you will need is web hosting. This is a service that lets you have a place to upload files and display them to the world when someone goes to your web site. Web hosting is another service that can usually be bought on the web for between $5 and $15 a month. Once you have your domain name and web hosting set up, the real work begins. You will need to design a web site. There are any number of tools you can use to create a web site, such as Macromedia Dreamweaver, Microsoft FrontPage, Notepad, or another similar program. Designing a web site requires, at least, some knowledge of HTML (or XHTML). HTML and XHTML are static scripting languages that you use to tell your web browser how to show your information. There are other languages you can use to create web sites such as PHP, ASP, and ColdFusion. These languages are more complicated and are used to create dynamic sites and interface with databases. Designing a web site can be a daunting task. There is always the option of having a design company create you web site for you but that can cost quite a pretty penny. Another option is to install a pre-made web site script that you can administer from a simple administration. Some of these script include Mambo, phpWebsite, e107, and many more. A script like this, usually, still requires some knowledge of HTML and/or web design because they are highly configurable and require a bit of tweaking to make it look the way you want. It may sound complicated to start a web site but it really isnt. All you need to do is take a bit of time to read some tutorials and examples, that are freely available on the web. You can learn the basics in no time completely free of charge. There are many of us who choose web hosting services for their website based on a number of factors like price, web space provided, server uptime etc. Honestly any web hosting package which provides about 5 GB of web space under US $20 per month is fine to me. And of course most web hosting companies will tell you that they provide 99.9% uptime which honestly is not lived up to by 90% of the companies out there. Any technical person can tell you that there are large numbers of issues that creep up while running a web hosting service which makes it very difficult to actually provide 99% uptime. For me, the single most important aspect of a web hosting service is its support and what kind of guarantee they give on their technical and customer support. Things can go wrong in any service, but how fast you rectify it is the most important thing. And not just that, website owners have different technical levels. Some might need help for the most basic features while some would require more complex support for the databases, scripts etc. A good web hosting company would always provide 1 hour support guarantee to you for your queries. Even if a query is complex and the support staff needs to consult their administrators, programmers etc, it is always nice for a customer to be updated of what is going on and whether they can solve it immediately or after consultation with various people working in the web hosting company. It can be very irritating for you if have opened a support ticket and next thing you know its been hours or even days before anyone has bothered to respond to you and all you have got is an automated response. Obviously once you open a support ticket, you do get an automated response saying your query has been received but I always look out for in how much time do I receive the second automated response telling me a member of the support staff has checked your query and replied to it. That shows the competence level of the web hosting company and how much they actually care about their customers. In conclusion, whether you are looking for a web hosting service for your new website or are looking to transfer web hosts, make sure you check whether the service offers a 1 hour support guarantee on their website. Dont be fooled with offers of web space, email accounts or even uptime guarantees. Its the support that will make the big difference in your web hosting experience. Many webmasters (you may be one of them) have probably considered using video on their web site for promotional purposes. Video is an excellent way to command attention from your viewing audience. However, the two largest concerns with video are file size and bandwidth. Video is the largest of all currently deployed files on the web due to the fact it has audio and moving video. If you plan to host video on your own web site, it is important to know how much free space is available for your web hosting account due to the fact you can run out of space very quickly with video. A general rule of thumb is that a medium-quality video will consume one megabyte per one minute of video. For example, a five-minute video would be 5MB in size on average. Because video has a very large file size, it also consumes a lot of bandwidth. Every time someone downloads or streams a video from your web site, an excessive amount of bandwidth is used. Again, you should check your web hosting account to see how much bandwidth you have available. For example, lets say you have a web hosting account that allows five gigabytes (5GB) of data transfer per month. You have one five-minute video available for download on your web site that is 5MB in size. Without anyone downloading anything else, your video could be downloaded 1,000 times. However, in combination with your web pages and images, that number will decrease significantly. Also, if you have additional videos for download, the number is even less. If hosting your own video consumes too much space and bandwidth, an alternative is to use a video hosting service. There are both free and paid hosting services available. Free services are YouTube and Google Video. For pay services, do a web search for video hosting and plenty of options will present themselves. The advantage to paid hosting is that you can host files yourself without any branding that does not belong to you on your video. For free services, branding does exist which may drive traffic away from your web site. Mistakes aren’t necessarily a bad thing, but if you can learn from other people’s mistakes it can save you from having to deal with them yourself. When it comes to web hosting, there are basically two kinds of mistakes – technical and general business. Technical mistakes usually come up because of a misunderstanding of the internet and how it actually works. The first mistake many people make when creating a website is to cram as much information, photographs, images, etc. on each page as possible. This makes the site take longer to download, leading to many visitors just moving on and never actually looking at the site. It also makes it more difficult to find what they’re looking for if the page is unorganized. Another common error is creating a web site that isn’t search engine friendly. If the search engines can’t determine what your site is about, they aren’t going to be able to send you people who are searching for what you offer. A mistake that many people make when starting out is to choose a host solely based on price. This is obviously an important factor, especially in the beginning, but if you choose the cheapest host you may be limited in your scalability as the website grows in popularity and traffic. On the business side of things, the most common mistake is trying to be everything to everyone. You should have a plan for your website – a purpose for its existence – and build according to that plan. Choose your target market and stick with it. Advertise in places they would see. Market in ways that would be of interest to them. Resist the urge to branch out into other areas just because something catches your eye. A site that tries to do everything usually ends up achieving nothing. Another common business mistake is following the competition’s lead. You’ll obviously want to keep an eye on them to see what they’re up to, but if you copy everything they do you’ll always be one step behind. Use your creativity and come up with unique ways to stand out from the rest of the websites in your market. In order to place your website online you must do so through a web host – a company or individual that offers access to the Internet through a server. While complex sounding, a server is nothing more than a high-powered computer that has open communication to release and receive information throughout the network of computers that make up the World Wide Web. 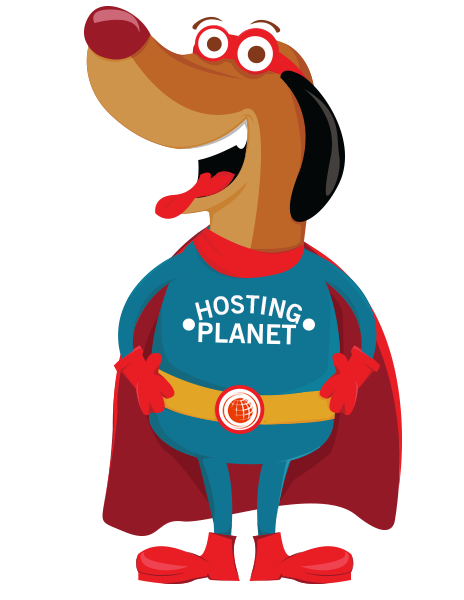 A web host then offers websites “space” within their server – for which they pay a monthly or yearly “rental” fee. Once a website has secured space on a host server they are considered to be online. A website owner, in order to find the host that best suits their needs and get online, must search among the companies that offer hosting services. A web hosting directory offers a comprehensive list of companies and individuals that offer hosting services. You can certainly narrow down your search for a web host with the use of a web hosting directory. You must first determine how much space your website will require on a host server – depending on the size of the files and graphics that your site will store and the amount of traffic it receives. You can tell a lot about a host through a web hosting directory including the space it can provide your website, the security measures it can offer, the prices it charges, and its commitment to customer service. If you are thinking about setting up your first website or registering your own domain name, there are a whole host (pun intended) of companies out there lining up for your business. This is a double edged sword because although it’s great for consumers to have choices, the greater they are, the more bewildering they become. In your attempt to make a decision you will negotiate a minefield of headlines clamoring for your attention and probably baffling you beyond belief, so here are a few ground rules for those first venturing into the world of web hosting. Before you do anything, it is wise to have a good idea of exactly what kind of user you are – will you be setting up a personal website or blog on your domain or are you a business user? If you are setting up a business website your priorities will probably be somewhat different and likewise your needs. Think carefully about what you want as you research the best deals. I have concentrated more on business users here, as a lot of the issues are perhaps not as vital to many non-commercial webmasters, although they are certainly no less worthy of consideration. The first thing to remember, as with most things in life, the general rule will be that you get what you pay for. Big numbers and low prices do not always constitute a good deal. When you see companies offering a terabyte of storage for a dollar a month, remember that most websites need nowhere near this amount of disk space – it’s a hollow offer because the company knows that you will almost certainly never need it, but big numbers look good, particularly to the uninitiated. If you have some idea of the amount of space you will need, all well and good, if you don’t, you will probably not need more than most companies offer you in a decent package. If you are a business user, decide what kind of website you are hoping to run and what features you are likely to need – for example, will you want e-commerce facilities for online ordering? A good idea is to look at the websites of your competition as you will probably want something along similar lines. Make sure that the hosting company you choose can support the features you need. At this point, a quick word about people who are engaged in online marketing – you will have certain requirements that some hosts may not be prepared to accommodate. Some hosts will not allow certain scripts to be hosted on their servers, so once again, buyer beware – if you want to set up a traffic exchange perhaps, or safe lists for example, you need to check before you buy your online space. Some hosting companies are geared far more towards certain markets than others so be sure to position yourself with a service that is sympathetic to your requirements – this applies to everyone, not just online marketers! Returning to the numbers game, there are some that are very important. Look at the amount of data transfer or bandwidth that you are being offered. If you are expecting a high volume of traffic and a lot of activity (for example downloading of files, particularly large files like sound and video) your bandwidth requirements will be far greater than a personal user with their low traffic site about their daily life. There is nothing worse for business than to see a ‘bandwidth exceeded’ error when someone tries to access your business online – it looks very unprofessional and people are far less likely to return. The other vital number is uptime. Once again, for business users in particular, downtime is a credibility and business killer, so the reliability of your host is paramount. Nobody can genuinely offer you one hundred percent uptime guarantee – that is just the nature of the technology, but you should be looking for ninety-nine percent upwards. This leads us to support from the hosting company – it is almost a requirement nowadays for them to advertise 24/7 support, but remember that talk is cheap, and the definition of 24/7 support can be a very loose one. For you, when things go wrong, you need to be able to contact someone right away, but you also want problems fixed in the minimum amount of time – just having someone around to answer the phones out of office hours does not constitute 24 hour support. If you need technical support, particularly important to new users and less “techie” types, will your host have the people and the time to assist you and answer your questions? It is difficult to know which hosting companies perform in this area so again, do your research – ask around, visit forums online and check any testimonials from existing customers. You will probably hear many horror stories, but hopefully some good feedback too, and forewarned is forearmed as they say. Many web hosts rent their server space and although this is not necessarily a bad thing, it is another area where not all hosting companies are the same. If a company owns its own data center, you are often assured of far quicker response times should there be any hardware problems, there being no middle men to slow down the communication process. Hardware problems tend to be solved far more quickly by a host who has direct access to its servers. As far as a lot of hosting features go, the numbers figure prominently in advertising, so know what they mean and you’ll understand if they are important to you. As an example, I have the capability to set up unlimited email accounts, or at least 999. Do I need that many? Certainly not, but for some businesses this could be a very important feature – particularly if you wish every employee, as well as every department, to have an email account on a given domain. Talking of domains, how many will you want to host on your web space? If you are only just beginning the journey, you’ve bought your domain name; can you foresee ever needing unlimited domain name hosting? How many will your business need in the future? How many names do you want to pay for? How many sub-domains do you anticipate wanting to set up? So again, think about your needs before being blinded by marketing excess with the “big numbers” game. Most hosting companies now offer a range of add-on services, for example, website building software – that sounds great to anyone new to the web but sometimes all it amounts to are a few templates. This might be fine if you have experience in web authoring, HTML, CSS……but if you’re inexperienced, some host’s web building software won’t be of much use. I have heard from any would-be website builders who have spent money on a template, only to be completely lost as to how to edit it! If these kinds of extras are important to you, be sure to understand what you are buying before parting with your money. There are some web hosting companies who provide a lot of support to new webmasters, both from their own staff and from other users of their hosting services – if you think you’ll benefit from extra help in the areas outside of hosting, finding such a company could be invaluable to you. I haven’t gone into too much detail here because, after all, it’s a general article aimed at beginners. My resource box at the foot of this article contains some useful links and leads to a lot more information so please check them out. If you find a good hosting company straight off the bat, it will save you a lot of frustration and worry further down the line, so do shop wisely. Cheap may be just fine for many people and there are plenty of cheap web hosting offers around today, but if your business is going to depend on your web presence, it may not always be the wisest move to cut corners. When planning to set up a website, one of your basic needs will be a web host. A web host is the place where your site will be located, and all the files that are linked to your website will be on your host’s computers. There are many different web hosting companies available with a range of different offers and features making it difficult to decide which web hosting company you should use. Although price is often a factor in most things we buy, and cheaper prices are often a sign of less quality, there are several other things to look at when checking out web hosting companies. There are currently many cheap web hosting companies that offer services at very reasonable prices; this is due to the large number of companies offering these services, which forces competitive prices. Searching for the best web hosting company for you can often be very confusing if it your first time setting up a website. First of all it takes lots of research to find the web host that you feel is right for you, so be prepared to do your research. When checking out a web hosting company, analyze what your needs are and what you want in a web host. Be sure to carefully read the details involved, and take a good look at the fine print to avoid future surprises. Many times what seems to be a cheap web hosting company turns out to be much more expensive than you originally thought it was. This happens when the web host charges you extra for different features you though were included in the basic price. It is very important to read through the terms of service carefully, many people are in the habit of skipping to the bottom and checking off the I agree box and just assuming they know what is in the contract. By thoroughly reading the contract you can prevent yourself from facing unexpected costs and hassles. Before deciding on a specific web host, check out webmaster forums and blogs and find out what other people have to say about them. Although you can find information on web hosting directories these are often supplied by the web hosts themselves and results in biased opinions. When choosing a web hosting company, take your time and give each option full consideration. Failure to carefully evaluate your options may lead to frustration and complications, once your site is up and running it will be more difficult for you to change hosts and redirect your visitors to your new site. The bottom line is, cheap web hosting companies can be a good option in some cases, but as with everything, they need to be carefully weighed in order to sort the good choices from the bad ones. There is more then 40 Million web hoisting provider to choose from and all of them are thirsty for adding your business to their portfolio, in this situation how do you identify and distinguish the best from the worse web hosting providers. Below I have highlighted some key point to Consider When Choosing a Web Hosting Provider. Before you commit your self to a hosting provider, first consider the amount of disk space you will need to host your website, a reasonable amount is around 500 MB, to 1 GB disk space, which is sufficient enough for any small business, unless you are planning on running a software repository or an image gallery or a file sharing website. Web hosting providers offer their customers several hosting packages and many of the packages comes with un-necessary disk space for a very reasonable price in attempt to out perform their competitors in many cases I found hosting providers are cutting corners to bring it customers an excellent hosting package which only looks good on paper. The reliability of the hosting provider is crucial. The length of time they have been in business, their percent of uptime, reasonable uptime you should expect is at least 99.5% and their backup and data retrieval practices and policies. Some hosting providers have multiple data centres, and some might even give you a choice of where your server will be at. Ideally, the closer the server is to you the better, as file transfers and interaction with the server will be at faster speeds. This might be a good question to ask the company on the phone call above. Watch the review of Omnis.com web hosting video by WebHostingReviewPlanet.com. See how to get more information on Omnis below. If you would like more information on Omnis visit their web site here. Your new website is ready to upload, and now you need a web host. Or perhaps you already have a web host, but uptime and support are lacking. Of the thousands of web hosts to choose from, how do you find one that you can depend on? Know what can go wrong and what to watch out for, and research prospective web hosts carefully. Problems happen, and even when they don’t, server maintenance results in a minimal amount of downtime. A dependable web host not only maintains servers well, but also monitors the servers and fixes problems immediately. With the type of web host you want to avoid, however, your site may be down for days. When your email doesn’t work, your business shuts down. Problems with databases and other features can also slow down or stop your business. Most web hosts understand this, but some don’t place a high priority on keeping not only your site online but everything working as well. Dependable web hosts answer tech support questions within hours. Other web hosts, however, have been known to take days. And when those responses come, sometimes they’re canned responses that don’t address the issue. Support people with good communication skills help keep problems from becoming bigger problems. Being told, “Everything looks fine here, so the problem is solved,” leads to frustration. So is having your site shut down because it used too many resources rather than the web host contacting you about the problem first. Even after you cancel your account, problems may continue. Some less-than-dependable web hosts don’t honor their refund policy. Others don’t stop automatic billing after the account is cancelled. When you see the following at web host websites, consider them red flags to warn you of possible problems. If the pricing looks too good to be true, it probably is. Is it enough to pay for server maintenance and tech support? You get what you pay for. Consider how much effort the web host put into providing a usable website with informative content. Does it give you confidence in the web host, or is it full of unsubstantiated statements and grammar and spelling mistakes? A web host doesn’t need to be a spelling expert, of course. But if the company hasn’t put much effort into telling you about their services, will they be conscientious about meeting clients’ needs? Finding web hosts is easy enough. Search engines can take you to the websites of thousands of web hosts. But after you’ve narrowed down your list by features and price, how do you find out which web hosts are dependable? If the hosting packages offer huge amounts of disk space and bandwidth for very low prices, consider yourself warned. Don’t expect the company to have enough money for maintenance and support. If you want to be sure that you can get a refund if you want one, check what the Terms of Service (TOS) says about refunds. What is the ambience in the forum? Are clients’ questions answered satisfactorily? Don’t be concerned if you see problems; instead, be concerned if you don’t see any problems. Some web hosts remove posts that don’t show their company in a positive light. If posts about problems remain in the forum, you can observe how the host handles problems. Client feedback at the web host’s site may or may not be valid. It’s possible for hosts to make up feedback, and some have even copied feedback from other sites. Look for feedback with links to the clients’ sites, and check via Whois Source to see if the particular web host actually hosts that site. Numerous forums allow people to post web host reviews. When you read reviews, consider the poster’s credibility. Some people bash their hosts just because they’re unhappy about something. If the host posts in response to a problem, observe how the host tries to resolve it. The “About Us” or “Company Background” page at the web host’s site should answer these questions. * How long has the company been in business? A new company may be excellent, but it’s good to keep in mind that a lot of businesses fail within the first year. * Where are the servers located? Ideally, they should be in a datacenter, and not in someone’s basement. * What are the server uptime statistics? If the web host doesn’t publish a link to a server uptime monitor, ask for a link to one. Uptime of about 99.7 percent or higher is generally considered good. * Does the company publish an address? You may never need it, but when you’re placing your company website in another company’s hands, you want to know that the company is legitimate and accessible. Answers to your pre-sales questions tell you a lot about the web host. You’ll see how fast the company responds and how well they communicate. Ask questions about any of the above points as well as questions specific to your needs. Finding a dependable web host takes time, but dealing with problems and moving your site takes more time. The time spent looking for a dependable web host is a worthwhile investment.